Now that I’m off trail and home for a bit, I’ve been doing some thinking about the trip as a whole. People ask me, “What was it like?” and I reply, lamely, “Awesome.” It’s hard to summarize or boil the experience down in a way that doesn’t trivialize it, but I’m going to try. 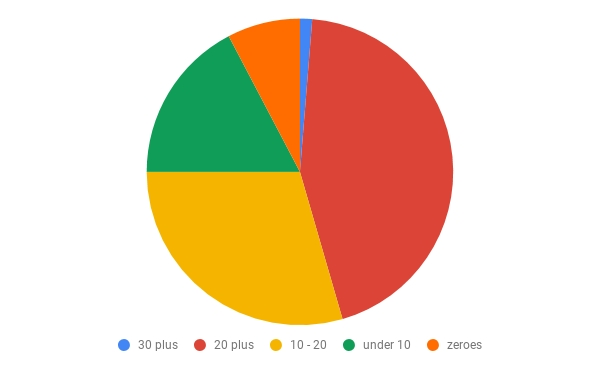 Since I’m a bit of a math nerd, the easiest thing is to look at numbers. When I tell people I walked from Mexico to Canada, I get one of two responses (and sometimes both at once). Some people are both amazed and unimpressed. 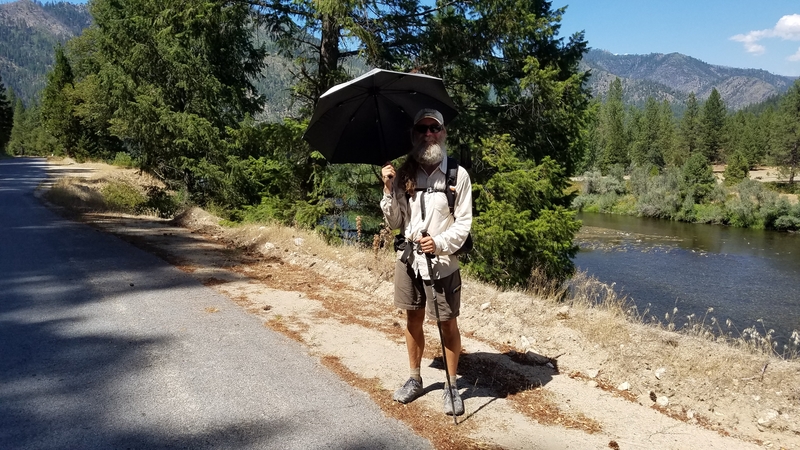 Doing a thru-hike is both hard and easy—it’s a lot of miles, but you’re “just walking.” When I was at the PCT 50-year anniversary monument dedication in Cascade Locks this year, I overheard one of the townspeople muttering: “They’re just walking; I walk 10 miles a day in my restaurant.” Yeah, it’s just walking. 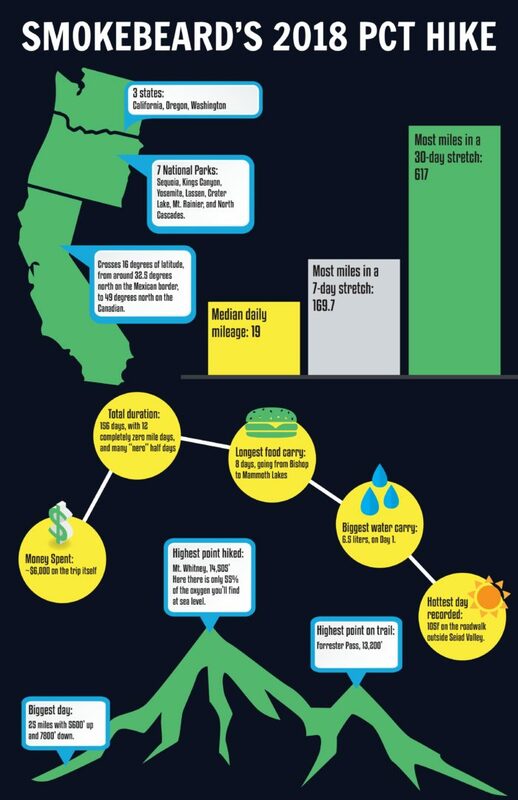 If an average thru-hike takes five months, that means you’re basically “just walking” 26-mile marathons on two out of every three days. Or roughly the same as walking the length of Manhattan (and back) every day. Faceplant, Surge, and me above Guitar Lake. If it looks barren and desolate, it was. Biggest day: 25 miles with 5,600 feet up and 7,800 feet down. Highest campsite: 11,950 feet (there was some debate about the legality of this site). Highest point on trail: 13,200 feet (Forrester Pass). 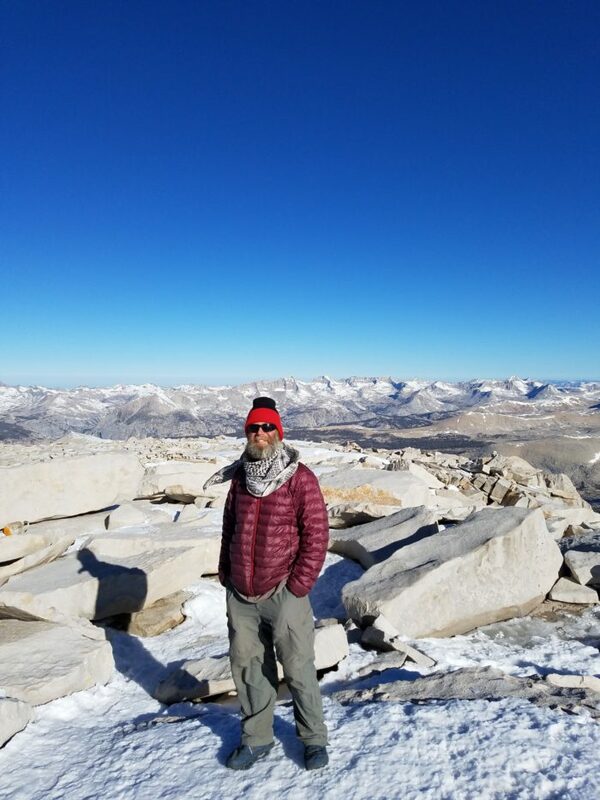 Highest point hiked: 14,505 feet (Mount Whitney). Here there is only 55 percent of the oxygen you’ll find at sea level. If you hike north, by the time you get to Whitney at mile 766 or so, you should have no problems with the oxygen. Altitude is a different issue; I was lucky. 14,505 feet, no gloves. Hint: bring gloves. The big difference between East Coast and West Coast trails is that in the east, the trails go up at 1,000 feet (or more) per mile, while out west 5oo or 600 feet per mile is considered steep. For you easterners reading, a typical day on the non-desert PCT is roughly equivalent to climbing Mount Marcy in upstate New York, hiking back to the start, then climbing it again. Hottest day recorded: 105F (40C) on the road walk outside Seiad Valley. By 5 p.m. at the Seiad Valley store, it was down to a measly 102F. Despite the partial shade and longer afternoon light, still 105. 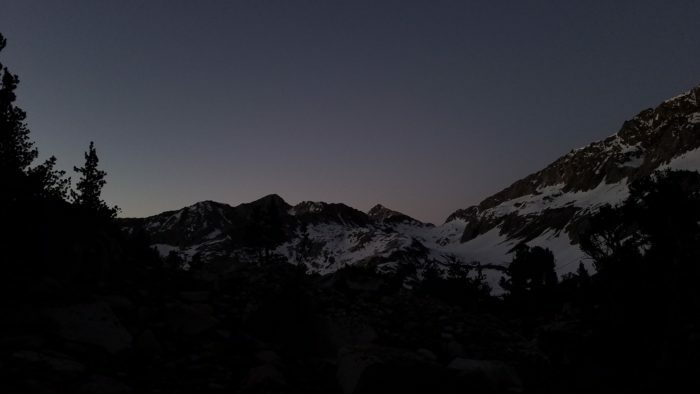 Coldest day: Probably getting up well before dawn to climb Forrester or Muir Pass. But there were many nights when the temperature inside the tents got down to 30. Also, I cowboy camped in the desert a lot, and a few times woke with an icy quilt and slushy water. I passed through three states, and seven national parks: Sequoia, Kings Canyon, Yosemite, Lassen, Crater Lake, Mount Rainier, and North Cascades. That’s seven off my list! I crossed 16 degrees of latitude, from around 32.5 degrees north on the Mexican border, to 49 degrees north on the Canadian. I started at 188 pounds, with a BMI of 25.5. I’m an old IT nerd, what can I say. By mile 652 I had lost 16 pounds. By mile 904 I had lost 22 pounds. At the end I had lost 30 pounds, bringing my BMI down to 21.4. People back home all commented immediately on how skinny I looked. When in towns, find a health clinic and ask if you can quickly weigh yourself. Nobody ever said no, even the random walk-in doctor’s office I tried in Vancouver. Some informal testing at my local gym shows about a 40 percent loss of upper body strength, but also much better treadmill and StairMaster performance. Biggest water carry: 6.5 liters, on day one. Original plan was to camp at Hauser Creek (mile 15), which I knew to be dry, but after arriving in the early afternoon and finding it crowded, I pushed on. Plus, from talking to other hikers about it, most agreed, “You have to pull the 20.” It’s kind of ceremonial. 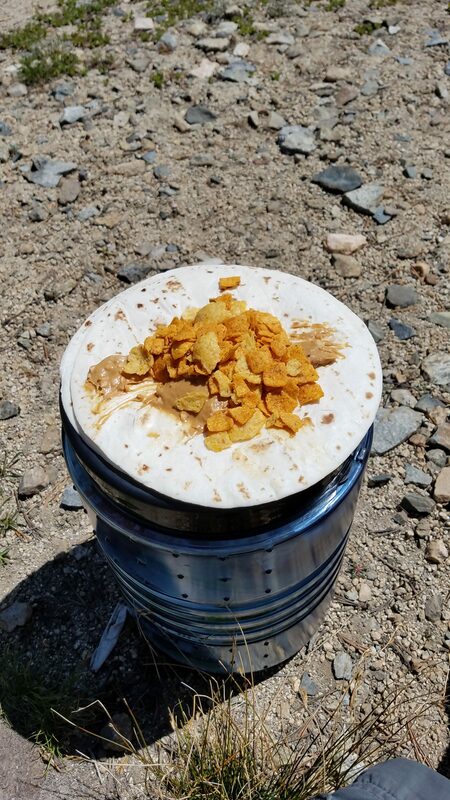 It worked out that I packed the extra water; there was this English guy at the top of the climb out of the canyon, lying alongside the trail, completely out of water and puking. “I’ve never been this hot in my life,” he said. 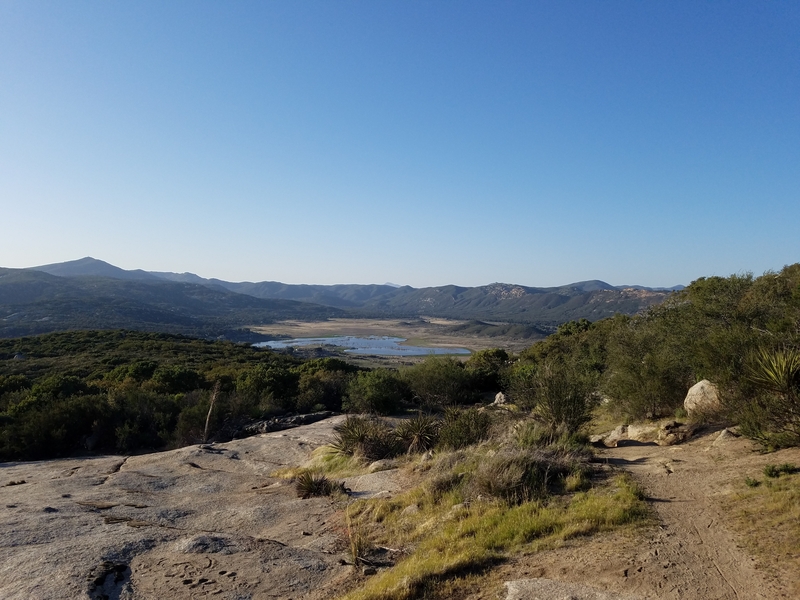 Since I could see Lake Morena from where I stood, I gave him a whole liter and told him to take it easy. I rolled into Lake Morena fully hydrated, and with almost a whole liter remaining. I never saw him again. 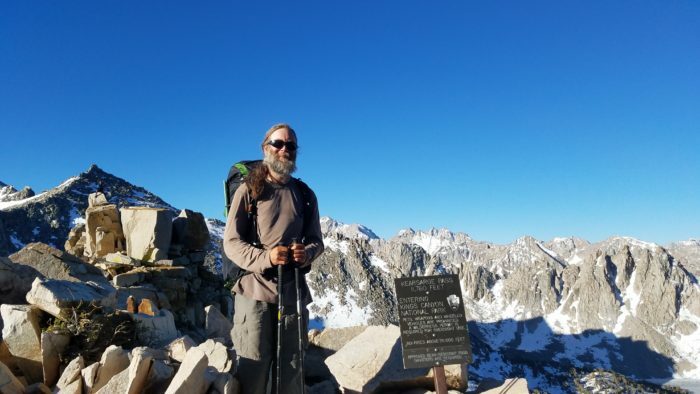 Longest food carry: Eight days, going from Bishop to Mammoth Lakes, including the 8.5-mile hike back in from the road up over Kearsarge Pass. It was heavy, although my Osprey Exos 58 handled it well. Great pack, and the bear can fits inside it, sideways, so the weight all stayed where I put it. There may have been a few food items that did not fit in my bear can. We may have hung the rest of the food. We may have also slept with it. The Smokebeard Special: two flour tortillas, crunchy PB, and crushed Fritos. 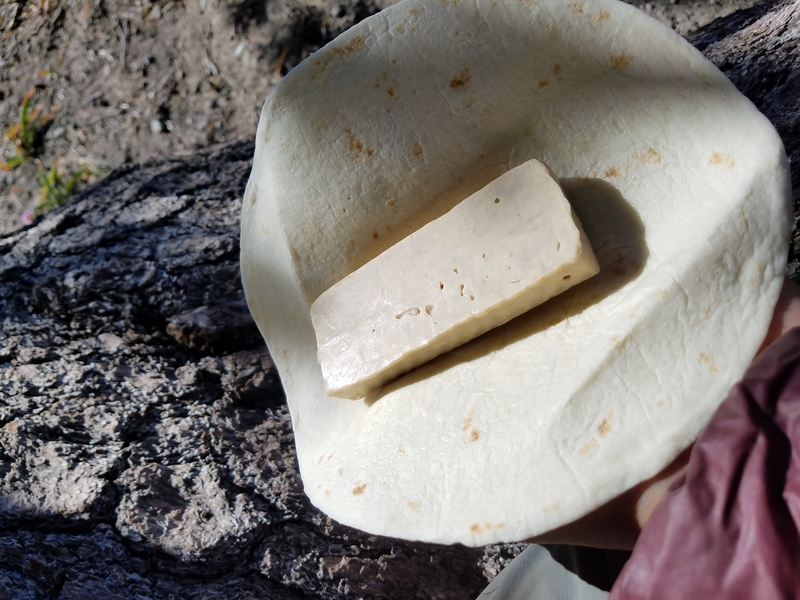 When a single Clif Builder’s bar isn’t enough calories and you have extra tortillas. 2,742 pictures, plus a bunch of phone screenshots, and 133 videos. I bounced myself some items north from Etna, CA: cold-weather gear, my stove and pot, and half of the bulk food I ordered from Amazon. I picked this up in Ashland, and bounced it ahead again to White Pass. Some people bounced a box containing a lot of supplies from every stop. For me that was overkill. If you’re not going to have someone at home who can mail you things at the drop of a hat, it’s best to keep your gear close. If you’re mailing things a short distance, the non-flat rate Priority Mail is the way to go. I got several food mail drops from home; the biggest one was at Kennedy Meadows South, for my Sierra gear. The rest of the time they were paper maps, homemade cookies, and a few hard-to-find food products. For Oregon and Washington, I mail dropped all my food. From Ashland I packed and mailed four boxes for Oregon, and from Hood River near Cascade Locks, I packed and mailed my five Washington boxes. It was nice to not have to worry about hitching for food. Some areas (Leavenworth, WA) are really rotten hitches. 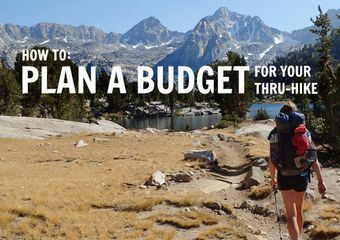 A thru-hike is about many more things than just numbers, but you can’t ignore the logistical aspects of it. It’s part of Leave No Trace: plan ahead and prepare. I also find that reflecting on the sheer size and scope of the trip helps me remember how badass and awesome it was. 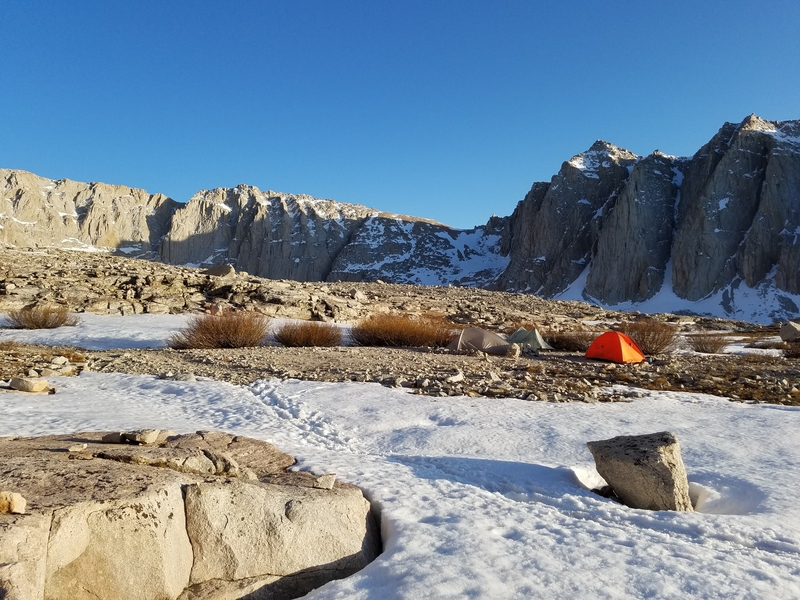 As time goes by things start to blur, and then I remember things like “I ate 20 pounds of cheese,” or “I climbed Mount Whitney,” or “I visited seven national parks” and it brings back the awesome, immersive size of the whole thing. I’ve been spending a lot of time looking at either the AT or PCT for my first thru hike next year to celebrate my 65th birthday. Gotta hand it to you, your posts are probably the most informative and useful as any I’ve seen. Thanks for contributing so much and making it easier for others to follow in your footsteps. 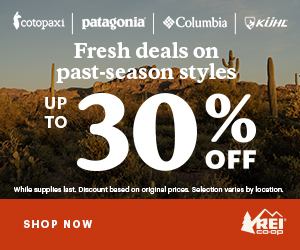 Since you’ve done both, albeit at much different ages, which hike would you recommend for a first thru hike, AT or PCT? Thanks for following along. The AT was harder, physically, and dealing with bugs and humidity most of the way was draining. 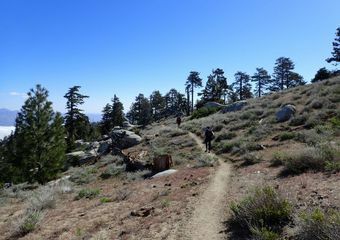 I liked the PCT more, whether it’s age and perspective, or the fact that the terrain was completely alien to me, or the nice weather for 99% of it, I’m not sure. It’s definitely easier. It’s prettier, too, with longer views and lots above treeline. Even the PCT “green tunnel” wasn’t the same tight/claustrophobic experience as Maine. I love this so much! Thank you! This is the kind of information people need to share.